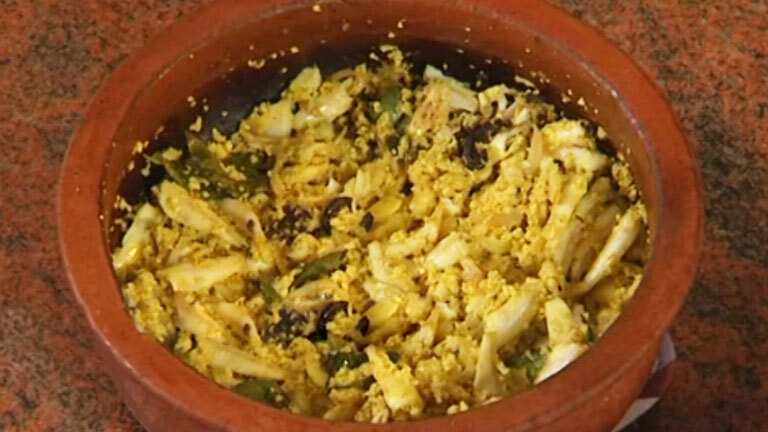 Cook fish along with turmeric powder, chili powder, pepper powder, masala powder, fenugreek powder, salt and water. If there is bones in cooked fish then remove it. In a pan, add 3 tsp of oil and splutter mustard seeds and urad dal. Add curry leaves, onions, ginger, garlic and green chilies. Sauté well. To this add the cooked fish pieces. Coarsely grind coconut, cumin seeds and curry leaves. Add the ground mixture to the fish pieces. Scramble it. Garnish with coriander leaves. Tasty thoran is ready.